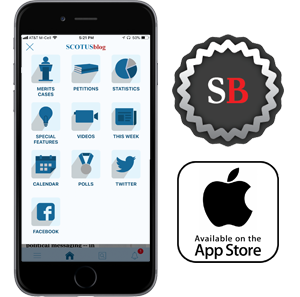 Justice Antonin Scalia, using history, sarcasm and political taunts, laid down a barrage of objections Wednesday to a plea that the Supreme Court create a new constitutional right of anonymity for individuals who sign petitions to get policy measures onto election ballots. When he was finished, the strong impression was that it might be exceedingly hard to gather a five-vote majority to establish such a right, even though the plea got the fervent support of Justice Samuel A. Alito, Jr., and some implied help from Chief Justice John G. Roberts, Jr. The oral argument was in John Doe # 1, et al., v. Reed, et al. (09-559). The petition-signers represented by Bopp have argued that disclosure of their names and other identifying information they put on petitions will subject them to harassment, and even to violence. The lawyer told the Justices, for example, that one of the chief sponsors of the anti-gay marriage referendum in Washington had his family sleep in the living room to protect them from retaliation. Bopp’s plea clearly resonated with Justice Alito, but his was the only voice on the bench explicitly in support of the claim to anonymity. What the overall argument made clear is that the case was, in fact, shaping up as a test of whether the Court was prepared to expand the zone of privacy for those who choose to get involved in the nation’s political fray. The state of Washington has worked to make that the central issue before the Court, arguing that the act of signing a referendum petition is, at its core, a legislative act and that the state has an important interest in having transparency for the legislative process that occurs in putting ballot measures before the voting public. State Attorney General Robert M. McKenna told the Court Wednesday that a petition-signer is not just asking the government to do something for him, but is, in effect, “telling the government what to do,” and in the process actually bringing about the suspension of an enacted law until voters can have their say on it. But Justice Scalia was, if anything, a more aggressive advocate for that view of the case. “A petition-signer,” he said, “is taking part in the legislative process.” He suggested that there was no court case holding that the First Amendment shields “activity that consists of the process of legislation.” In fact, Scalia said, “for the first century of our existence” even casting a ballot was done in public, and ballots were of different colors so everyone could know how an individual had voted in a given contest. McKenna also sought to reinforce that point, saying that the Court had never ruled on whether there even was a right to confidentiality when one casts a vote, and, if it had, New England town meetings would be unconstitutional. The state’s lawyer, though, did concede that, today, voting itself is a confidential act, and the state has no interest in forcing into public how citizens do vote. Doing that, he said, would have a “much greater chilling effect” on voting than is the case with disclosure of petition-signers’ identity. All members of the Court except Justice Clarence Thomas took part in the questioning. 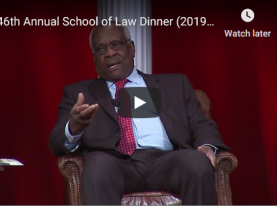 Justice Thomas had dissented in January when the Court, in another election case (Citizens United v. Federal Election Commission), ruled that Congress has significant authority to impose disclosure requirements on those taking part in federal campaigns. Thomas used strong language in his partial dissent to describe reports of harassment and intimidation of individuals who had promoted an anti-gay marriage petition in California (Proposition 8). Thus, one might expect that, as the Court discusses in private how to rule on the new petition-signers case, Thomas could be a strong advocate for protection of signers’ privacy. Although Justices Thomas and Alito often share the conservative views of Justice Scalia, they may well part with him on the scope of anonymity in politics.